Rodney Cook started his career in 1994. 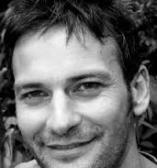 He is a founding council member and registered stunt co-ordinator with the Stunt Guild of New Zealand. His portfolio spans across the world, working with industry icons such as Peter Jackson, James Cameron, Taika Waititi, Oliver Stone and Jane Campion. Cook provides a calm and safe working environment for cast and crew, enabling teams to create breathtaking action sequences regardless of budget and often working in inhospitable locations. His skills encompass orchestrating car hits, equestrian, falls, boat handling, various weaponry, actor choreography, fire work, first aid, abseiling, skiing, snowboarding, acting, prosthetics, motion capture and gymnastics. He has a vast portfolio in film, television and commercials. Such a wide variety of skills is testament to Cook’s strong work ethic, creativity and careful planning. Learn more about Rodney Cook on his website.